The festive season is here and that means long holidays, celebratory mood and vacations!!! Specially, it's the perfect time to head out to seaside towns and spend a few days enjoying the sun, the sand and the sea! 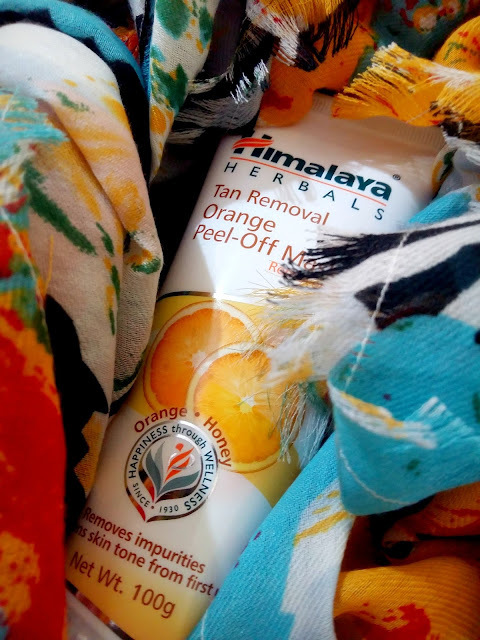 Himalaya Herbals couldn't have chosen a better time to launch a tan removal peel-off mask that can prove to be our go-to solution for those post-holiday tan lines. 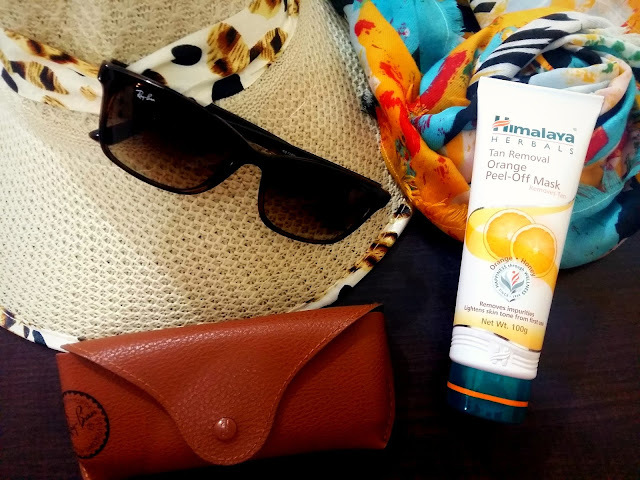 And when they sent the new product for review, they accompanied it with a well-curated selection of holiday essentials, sending me #beachvacaygoals in a box!!! 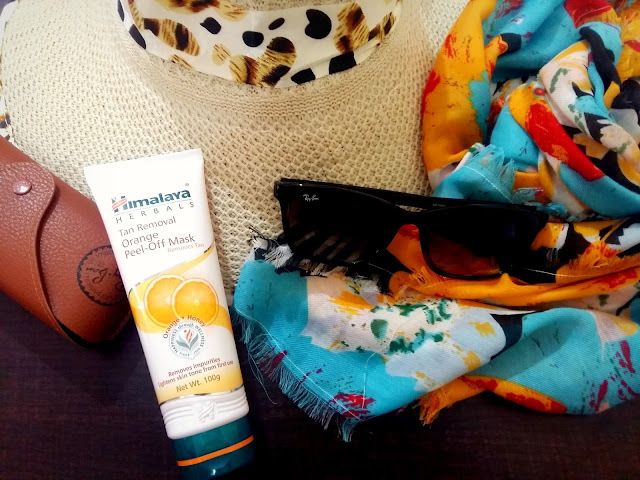 So for those of you planning a quick beach vacay, or even fighting the October sun every day, here's a list of must-have essentials that you should not forget to pack if you want to brave the sun in style! 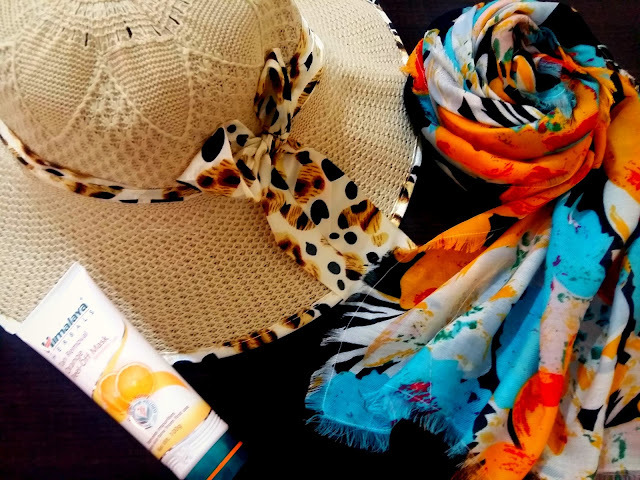 You shouldn't even think of hitting the beach without a wide-rimmed sunhat and a few light scarves that'll help keep the strong sun off your face and neck. Pack in a few vibrant scarves that will not only save you from the sun, but will also prove to be a fun way of accessorizing your dresses! A good pair (or more) of sunglasses with high UV protection are a must if you want to save your pretty eyes from the sun's harmful rays, and of course, they need to be stylish too since they'll be making appearances in almost all your selfies and holiday pictures! So, invest in a good pair of stylish sunnies and amp up your travel style quotient while beating the heat this season! 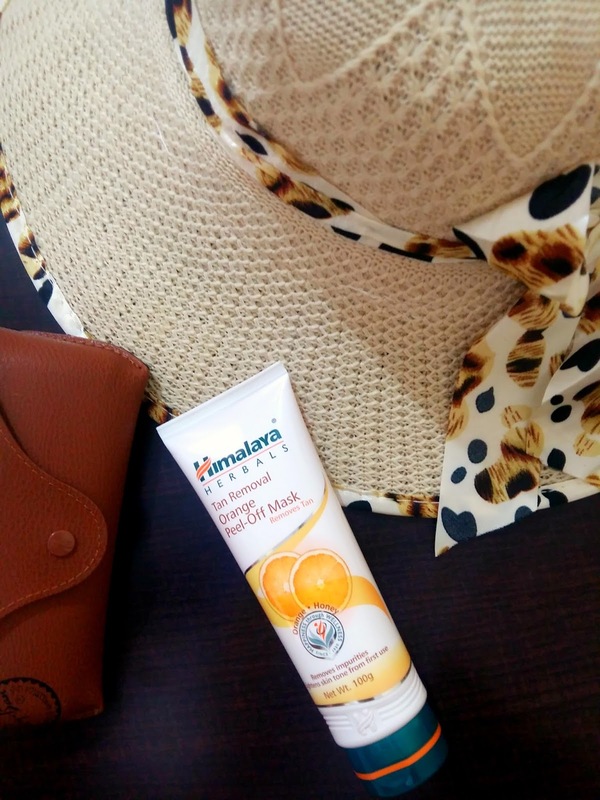 And of course, now our holiday essentials list is incomplete without the new Himalaya Tan Removal Orange Peel-Off Mask which is the God-sent answer to all our unwanted tanning woes. 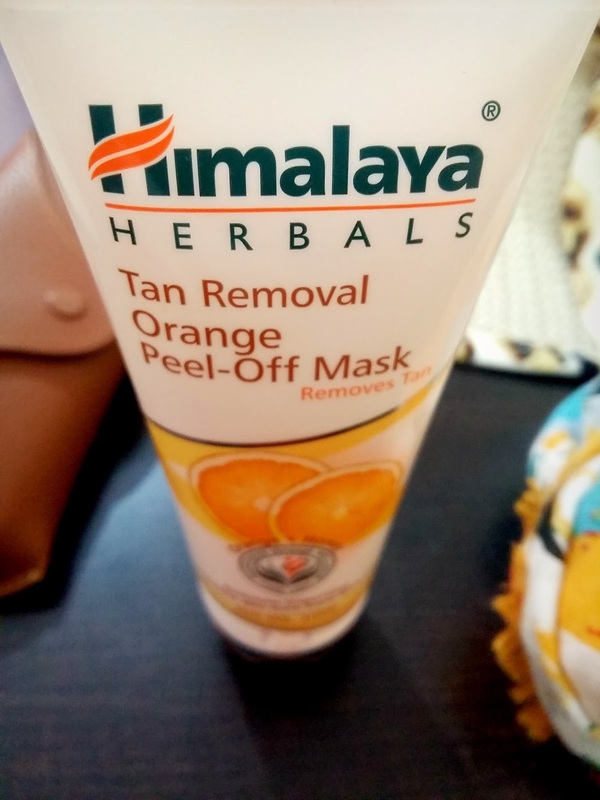 This mask is an effective blend of the natural skin lightening extracts of Orange Peel and Honey which helps reduce skin tan and lighten skin tone. It also soothes and moisturizes the skin keeping your face fresh and glowing throughout your holiday! 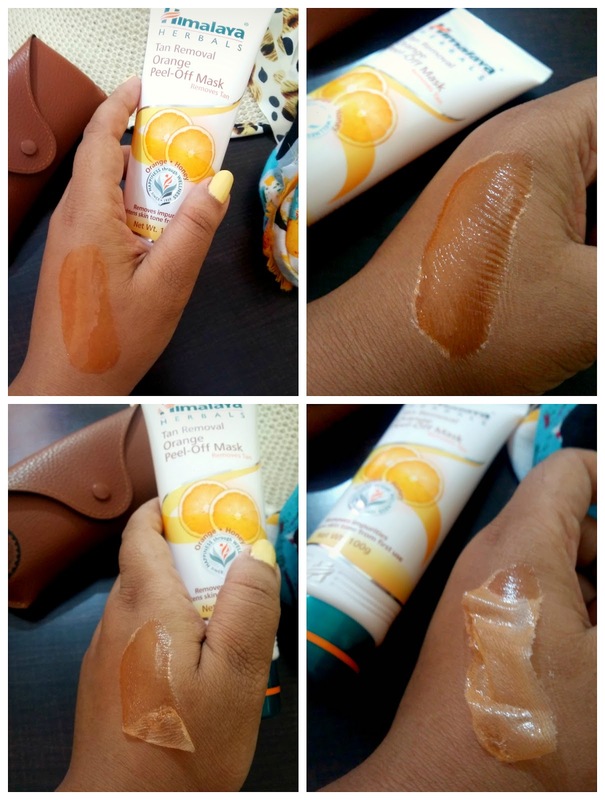 The application process is quite easy, and as with any new product, you should always try a swatch on your hand first before applying it to sensitive areas like the face, to make sure that your skin doesn't react adversely to the product. The Himalaya Tan Removal Orange Peel-Off Mask is available online or at any local drugstore at Rs. 70/- for 50gm and Rs. 130/- for 100gm. Pack those bags, book those tickets and get, set, go! Just don't forget to carry these holiday essentials and you're sorted!! Happy vacays!! !